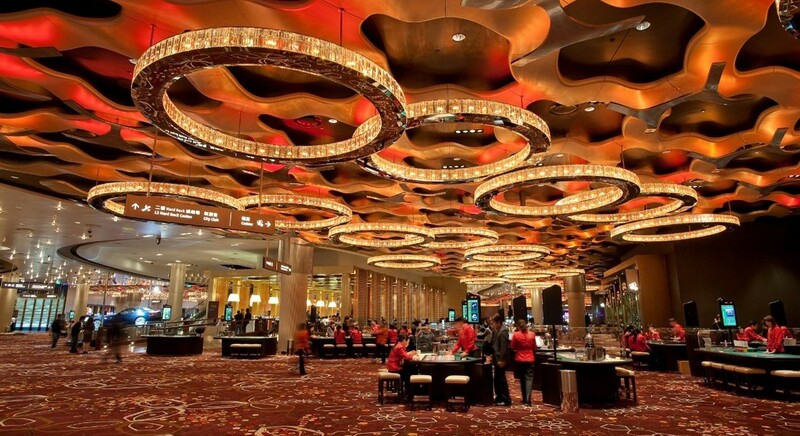 City of Dreams Casino is one of the largest and newest Macau attractions. The podium of City of Dreams provides a kaleidoscope of entertainment options for patrons. The impressively sized casino features approximately 520 gaming tables and approximately 1,350 gaming machines. NDYLIGHT was appointed to commission the casino lighting installation for this major Asian venue in February 2009, following Steve Brown’s previous experience with the project dating from 2007. The casino encompasses more than 400 tables over two levels, including a significant VIP casino, to cater for Macau’s high roller market. The main public gaming floor has a massive-scale programmed LED ceiling, which runs 24/7. There are also numerous bespoke large-scale ‘light sculptures’ lit in association with designer Stephen Hennessy, which are central to the gaming experience. Lighting control involved over 2,000 dimmed channels and 1,500 LED circuits.